It was a messy ordeal. The election season of 2016 was one which many of us would like to forget. However, as things turned out, the election was only the beginning of an ongoing, two-sided struggle which involved the intentional concealment of damning secrecy of alleged government criminals, and the strenuous efforts of the people to dethrone and bring these (alleged) criminals to justice. The topic of Hillary Clinton's illegal handling of classified information was originally discussed in late 2016. At that time, most of the corporate media was in the pocket of the Clintons, and there was very little sign of objectivity in mainstream reporting. This was, of course, realized when all of the journalists who had been secretly meeting with Clinton to discuss how they might portray her in the best light possible and to give her the best chance of winning the people's approval. 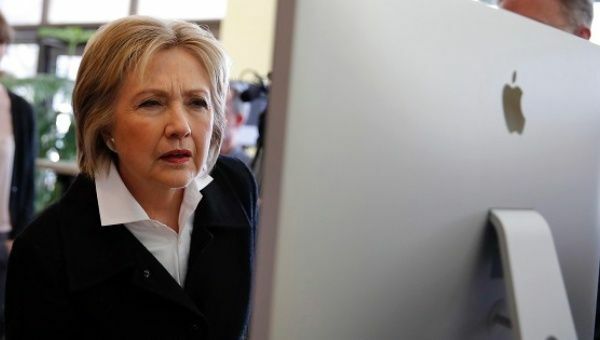 Among the bias reports about Clinton's history and that of the Clinton Foundation, was the notion that there was absolutely no way to obtain the email evidence which Clinton claimed to have lost prior to the scandalous investigation. Up until that point, there was much speculation as to what Hillary was attempting to hide when her server data conveniently went missing. The news along with an exceptionally questionable FBI maintained that Hillary was free and clear to continue her campaign against the dreaded Trump. Meanwhile, the people were left ignorant of the truth behind Hillary's conveniently ambiguous past. Then it happened. Suddenly, the people remembered that we live in a digital age in which professional back-up services store data--sometimes for years on end--even after it is deleted in one location. This is commonly done in government agencies for the sake of fault tolerance, and according to reports, this remote back-up technology was very available for Clinton and her staff. As it turns out, the FBI reported prematurely and irresponsibly when they claimed there were no files to investigate, as FBI staff are fully aware of the thorough procedure needed to complete an official investigation. It appears that to some extent, that parties within the FBI were compromised by Clinton interests, just as the numerous members of corporate media were found to be. This seems to be the most logical explanation for the situation. These topics have been revisited in recent developments, and this may be the reason as to why we see a new investigation into the Clinton email scandal. Many people assumed that this investigation was just one of Donald Trumps tricks to keep a woman out of the White House. However, as things appear, the case is very serious and if taken to court, could yield some very hefty charges for Hillary and her entourage.